Giving Hearts Day, Feb 14, 2019 raised $16,261,713, from 30,615 contributors from North Dakota and Northwestern Minnesota. 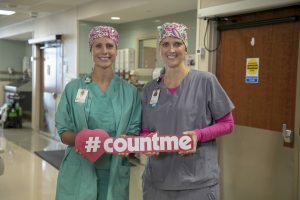 Jamestown Regional Medical Center reports that with the help of major donors and hundreds of community members, Jamestown Regional Medical Center set a new Giving Hearts Day record. And for every $10 donated, JRMC received a match up to $40,000. On Giving Hearts Day this year, JRMC raised $213,153 in 2019, thanks to the generosity of 293 donors. Last year, 200 donors helped JRMC raise $75,000, said Lisa Jackson, JRMC Foundation Director. The funds helped purchase R.O.S.I.E. ; a germ-zapping robot used to sanitize rooms and reduce surgical site infections. One of this year’s gifts – $100,000 came from Reuben and Clarice M. Liechty. The gift will help the JRMC Cancer Center provide chemotherapy infusions to area patients, saving them hundreds of miles of travel each year. Those miles matter, Jackson said; no one wants to travel when they are sick. The JRMC Cancer Center is set to open this summer. In addition to the gift from the Liechtys, the JRMC Auxiliary donated $10,000. This money helped purchase a Focused Assessment with Sonography in Trauma Ultrasound for the JRMC Emergency Department. This tool will help doctors diagnose and treat injuries, said JRMC Emergency Department Physician Dr. Kent Diehl. The $45,000 machine means patients can count on JRMC for faster results, especially when seconds count and miles matter. The 50 or so members of the JRMC Auxiliary volunteer their time to raise money for JRMC. Since 1987 the Auxiliary has donated more than $390,000 for patient care. “Great patient care is important to all of us in the Auxiliary. 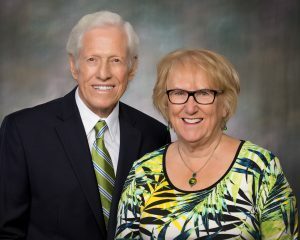 We’re happy to support these projects,” said Cindy Grimm, JRMC Auxiliary past-president. This Giving Hearts Day, more than 30,000 individuals gave $16.2 million to nonprofit organizations throughout the Upper Midwest. “Every year on Giving Hearts Day, we talk about how gifts ‘double the love.’ When it comes to the JRMC Cancer Center and the JRMC Emergency Department, this is absolutely true. Giving Hearts Day gifts directly affect our current patients; however, the love is doubled because those gifts help future patients too. Thank you to this community for the support. We are humbled,” Jackson said. To learn more about patient care or giving opportunities at JRMC, visit www.jrmcnd.com or call (701) 952-1050. Jamestown Regional Medical Center is located at 2422 20th St. SW, Jamestown, N.D. and serves approximately 55,000 people in nine counties. In 2018, it was named a “Top 100 Critical Access Hospital” as well as a “Best Places to Work in Healthcare.” For more information, visit www.jrmcnd.com or call (701) 952-1050. Jamestown (CSi) Giving Hearts Day is on Thursday February 14, the largest 24-hour giving event in North Dakota. Appropriately held on Valentines Day, Giving Hearts Day has been a signature fundraising campaign for North Dakota and Northwestern Minnesota nonprofits for the past 12 years. According to the event’s website, $13.1 million were given by 28,000 people during the event in 2018. The website also says that Giving Heart’s Day is the longest running event of its kind. Over the event’s 12-year history, over $55 million have been given to area nonprofits. Giving Heart’s Day is sponsored by the Dakota Medical Foundation, Impact Institute, and the Alex Stern Family Foundation. Numerous charities in Stutsman, Barnes and surrounding counties are participating in the 24-hour event. To find a list of participating charities, click here. To learn more about Giving Hearts Day, click here.